The information presented on this page was originally released on July 20, 2016. It may not be outdated, but please search our site for more current information. If you plan to quote or reference this information in a publication, please check with the Extension specialist or author before proceeding. ARTESIA, Miss. -- Children’s faces lit up as they watched their bright-blue robots glide across the floor at their commands. 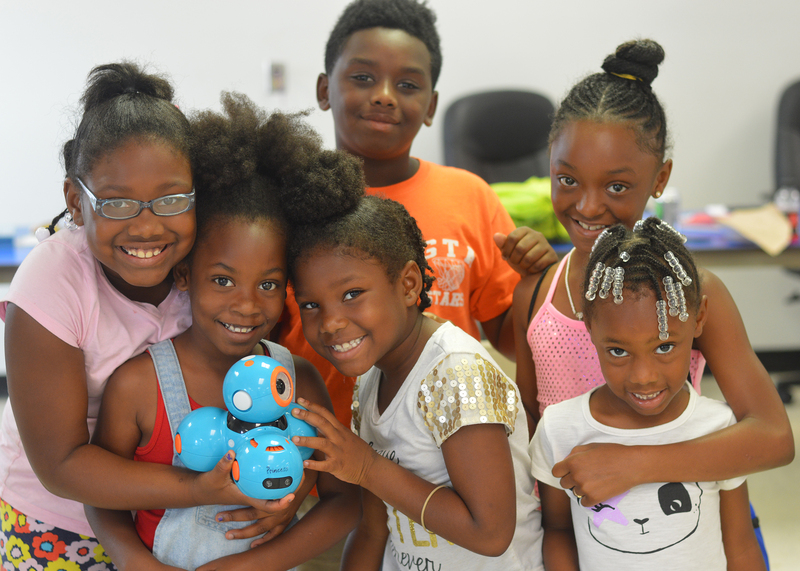 Nate Peterson, community development coordinator for Artesia, watched his 32 summer campers beam with excitement as they played with robots for the first time. 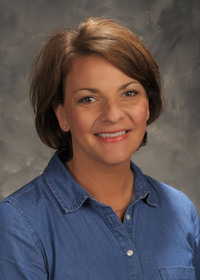 Peterson worked alongside camp director Betty Sanders to coordinate sports, educational demonstrations and other activities for local children to enjoy while their parents were at work. Peterson said he wanted the children to get excited about science, technology, engineering and mathematics programs and knew the 4-H robotics program was the perfect resource. 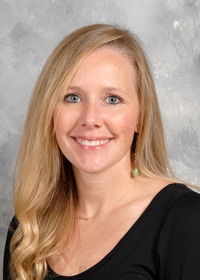 He contacted Mariah Morgan, an assistant professor with the Mississippi State University Extension Center for Technology Outreach, to help bring the robotics program to Artesia. Morgan guided the children through the process of programming Dash robots. Children also learned how to program their own video games, as well as generate electricity using a battery, aluminum foil and a lightbulb. Using iPads, the children commanded their robots to move, flash lights and make sounds. Cameron Brooks, 11, was one of the many children fascinated by the experience. Like Brooks, many of the children at the camp discovered robotics, coding and algorithms for the first time through the program. He asked Morgan how he could code robots at home. As Morgan told the children, less than 8 percent of college students study computer science. Sharing STEM subjects with children at a young age increases the chances of them pursuing education in these fields. 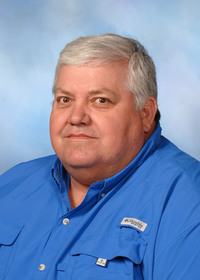 Peterson worked with the Mississippi State University Extension Service as the community resource development coordinator and county agent in Sunflower County before moving to Artesia. He has more plans to incorporate the MSU Extension Service into his community development efforts.